Come and enjoy one of the best vacations ever – on a fully crewed charter yacht. You don’t have to have any sailing experience. All you need to do is sit back, relax and experience the pleasure of a fully crewed charter yacht in one of the best cruising areas in the world….the Caribbean from the Virgin Islands, Antigua, St Martin to the Grenadines and Grenada. 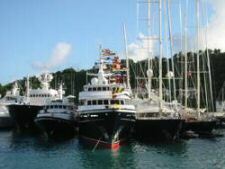 Antigua Yacht Charters was established over 10 years ago. We’re a small company and we’ve built a sound reputation by giving the best advice. We focus on fully crewed charter yachts throughout the Caribbean. This covers a specially chosen selection of sailing and power yachts and catamarans. We only recommend the boats that we know and have visited and with our long background in the charter industry and knowledge of the Caribbean cruising areas, we can give you honest and reliable tailor-made proposals to fit your exact requirements. Let us help you choose the best fully crewed yachts for you. Choose from beautiful sailing yachts, many with an exceptional sailing performance, motor boats, catamarans, luxury mega power yachts and sailing superyachts and each with a crew devoted to pleasing you. Are you looking for a romantic getaway for a honeymoon or anniversary? A relaxing sailing holiday with a group of friends or an activity-packed family vacation? There’s a yacht for everyone - lovers of water-sports and scuba diving, island explorers, keen sailors or sun worshippers. If you’ve only time for just a long weekend away, then please ask for our recommendations. 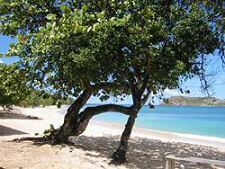 How about going to Barbuda for a weekend? Take a look at our new Superyacht Collection of mega yachts for charter in the Caribbean and Mediterranean. ADDRESS: Turtle Bay, Falmouth, Antigua.